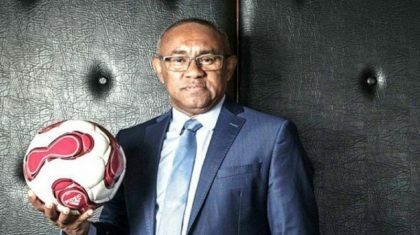 President of the African Football Confederation (CAF), Ahmad Ahmad, endorsed Morocco’s bid to host the 2026 World Cup and urged African football federations to back the North African kingdom’s endeavor. In a statement on CAF website, CAF President urged African football federations to join efforts in order to show an outspoken and massive support for Morocco. He expressed his willingness to galvanize the support of the continent in favor of an international campaign supporting Morocco’s bid to host the international tournament. Head of the African highest football authority added that Morocco has all that it takes to organize the world cup. In a statement last March in Marrakech, Ahmad Ahmad has expressed support for Morocco saying “We are convinced that Morocco could organize this competition just as was done by South Africa in 2010”. The statements of Ahmad Ahmad who was elected CAF president earlier in March succeeding to Issa Hayatou came just a few months after FIFA president Gianni Infantino declared that Morocco has the necessary “infrastructure and organizational capacity” to host the World Cup. On August 11, Morocco’s Royal Football Federation (FRMF) has submitted to the FIFA its official bid to host the 2026 World Cup, the fifth attempt by the kingdom to organize the global sports event. Previously, the media claimed that Morocco has asked Spain and Portugal to team up to organize the 2026 World Cup in a counter-bid challenge to competitors in North America: the US, Canada and Mexico, which presented their joint bid last April 10. Morocco holds the record as the country most often turned down by FIFA. The North African nation launched bids for 1994, 1998, 2006 and 2010. The 2026 World Cup will be the first edition to involve 48 teams in an attempt to give countries outside Europe and Latin America a chance to take part in the tournament, which usually takes place in 12 stadiums over a period of 32 days.